The High Wind Tie is designed to provide ties for trusses and rafters likely to be subject to high winds. This versatile range may be used for general purposes, strong back attachments and as all-purpose ties where one timber crosses another. The H2.5 may be installed in pairs to achieve twice the stated safe working load. 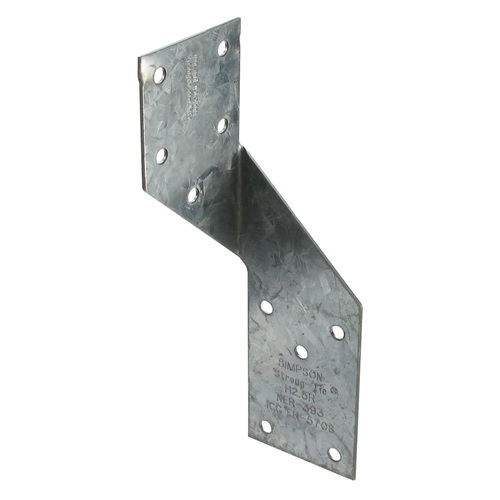 Where the truss thickness is less than 63mm, install diagonally across from each other.